A car accident can change a life in an instant. In addition to physical pain, injury victims are often left with emotional and financial burdens that can affect their lives for months or years to come. If you have been injured in a car accident in Tulsa, you may want to pursue compensation for damages through an insurance claim or a personal injury lawsuit. An official Tulsa crash report documenting the details of the wreck could prove to be a key piece of evidence for your claim. At the scene of the accident, the first thing you should do is ensure anyone with serious injuries gets immediate medical treatment. Even if you don’t believe you are hurt, you should still get examined by a doctor later, as car accident victims often experience shock that can mask an injury. Your physician will also be able to create official documentation that can help with your injury claim. If you are able to stay at the scene, your next step should be to call the Tulsa Police Department, and officers will arrive to take down all the necessary information. Conditions present at the crash scene. The department will make the report available later, and you can call the Tulsa Police Department, Police Records Office at 918-596-9286 to check on the status of your crash report. You can purchase a copy in person at the Police Records Office located at 600 Civic Center, Building 3, Tulsa, OK 74103. Collisions Reports cost $0.25 per page. To get your copy by mail, you will need to send a self-addressed stamped envelope with the completed request form and a check made payable to Records Custodian, Tulsa Police Records. The mailing address is PO Box 1027, Tulsa, OK 74103. The primary way to seek compensation for damages related to a car accident is by filing an injury claim with the at-fault party’s insurance company. It is important to remember, though, that an insurance company will not be looking to make you whole again. Insurance companies are for-profit businesses that protect their bottom line by paying out as little as they can for claims. Once you file a claim with an insurance company, a claims adjuster will be assigned to your case and subsequently investigate the accident. 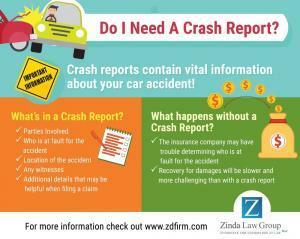 Though adjusters often attempt to cast doubt on aspects of a crash report, in most cases, your report will serve as a key document that can help verify your account of the accident. Before ever speaking with the insurance company, it is in your best interest to consult with a personal injury attorney. An experienced car accident lawyer will serve as an invaluable advocate for you throughout the negotiation process, as well as know all the ways to help you seek full damages for the injuries you suffered. And if the insurance company refuses to offer a fair settlement, your car accident attorney will be able to file a personal injury lawsuit on your behalf. 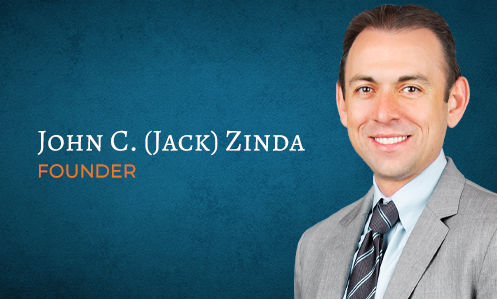 At Zinda Law Group, our Tulsa car accident attorneys have helped countless crash victims get their lives back on track after suffering an injury. We have the knowledge and resources necessary to help you build the strongest case possible and pursue maximum compensation for medical bills, property damage, loss of income due to missed work, pain and suffering, and much more. Our firm also believes that an auto accident victim should never have to worry about their ability to afford excellent legal representation. That is why we offer 100% free consultations, and why you will pay nothing unless we win your case. That’s our No Fee Guarantee. 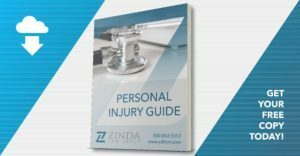 If you or a loved one has been injured in a wreck, call Zinda Law Group today at (800) 863-5312 to receive your free consultation with one of our experienced personal injury lawyers in Tulsa. Meetings with attorneys are available by appointment only.